Welcoming classic traditional colonial in move in condition. This home features 5 bedrooms, 3.5 baths, conveniently located with quick access to Rt. 15 and I-91. 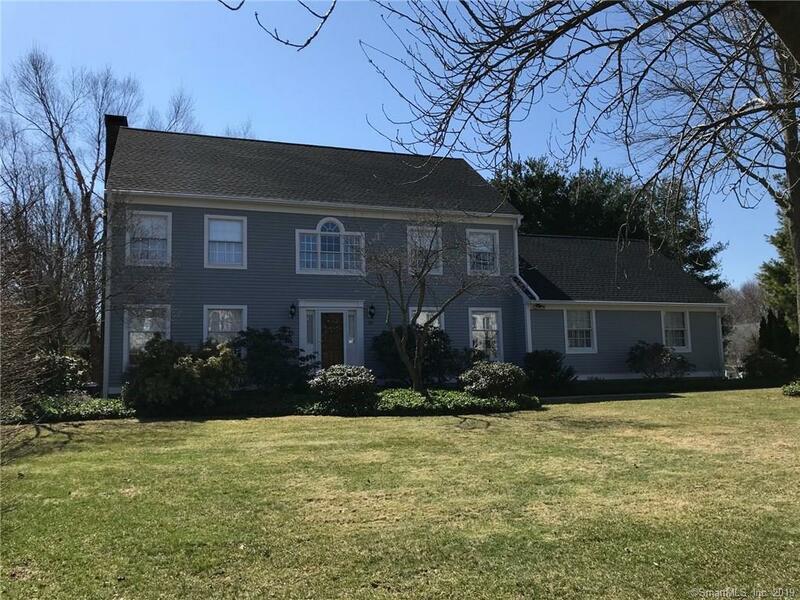 This recently updated home boasts granite counters, built-ins, decorative trim, a fireplace, a large 3 season porch with exposed wood ceiling, an alarm system, irrigation, and blue stone sitting area just to name a few. Updated treks decking. The house was painted along with a new roof installed 2 years ago. The 2-car garage is oversized and includes hot water. Five zones of baseboard hot water heat plus two separate central ACâs that are two years old. The yard is nicely landscaped with mature plantings, offers both shade, and open space. This home has city water and sewers. Hardwood floors are found in the formal living and dining rooms on the first floor plus the second floor central hall and sitting area. The large master bedroom includes a large walk in closet plus a bath with twin sinks and walk in shower. The guest bath also includes twin sinks. A separate walk-in cedar lined closet offers storage beyond what you would normally expect. Besides granite counters, the kitchen, dinette are, and entry hall have been updated with porcelain tile. This home must be seen and will easily be loved for its design and layout practicality and all it offers in terms of comfort and space.